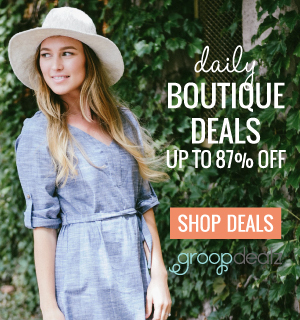 I feel like anyone who has a job, has hectic, stressful, and sometimes chaotic mornings. 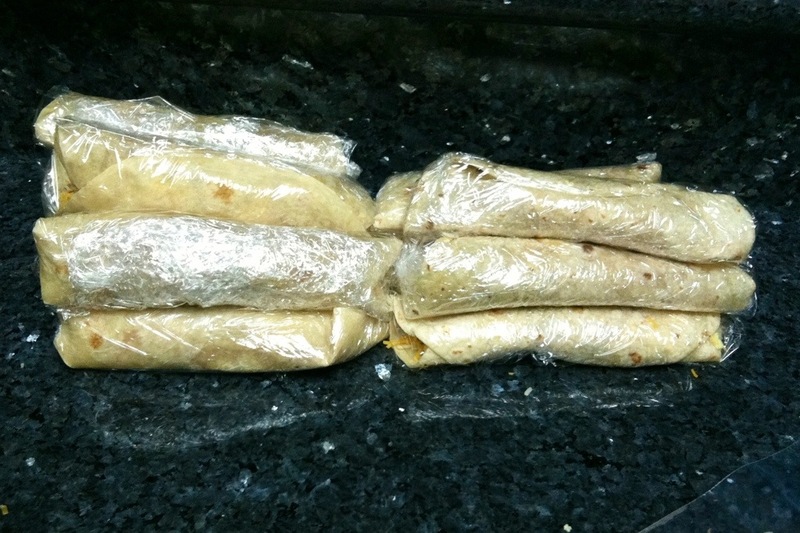 Something I’ve started doing to make my mornings easier is making breakfast burritos ahead of time and freezing them. I heat one in the microwave for one minute and thirty seconds add a little of my favorite hot sauce and I’m good to go! 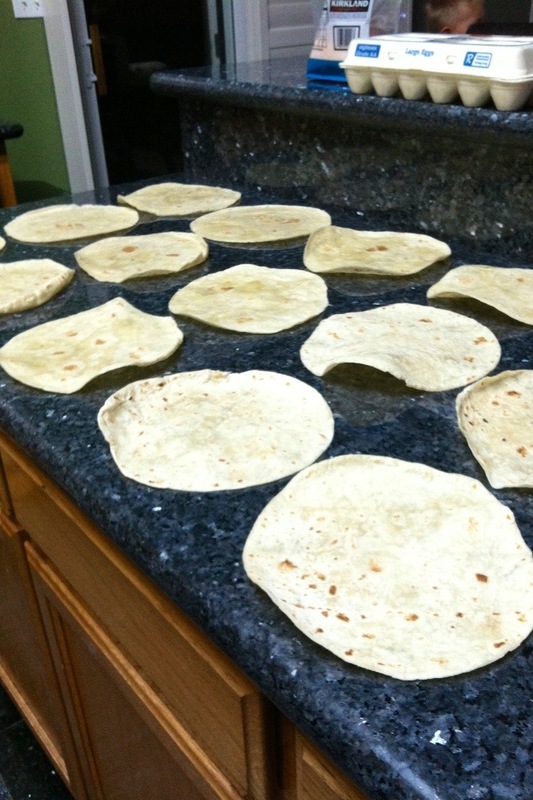 Spread your tortillas on a clean, flat counter or table. I find the process goes quickly if I make these assembly-line style. 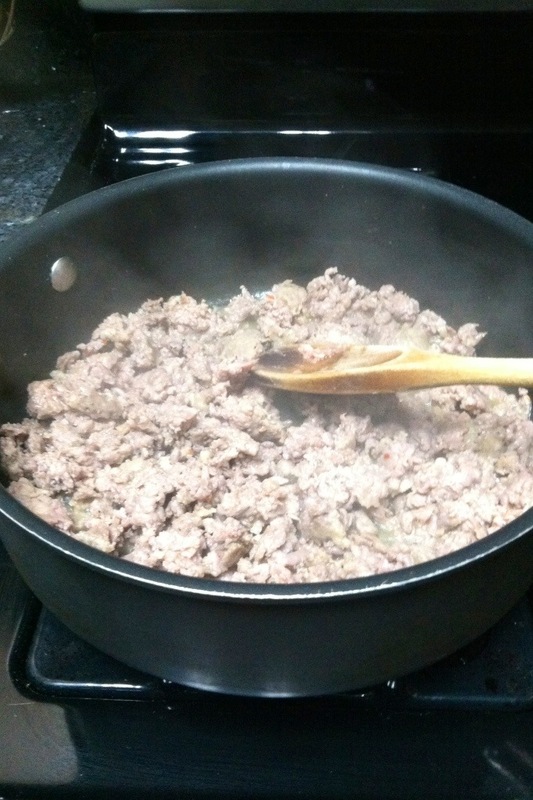 Thoroughly cook the sausage. I have used turkey, Italian, and chorizo. Use whatever you like. 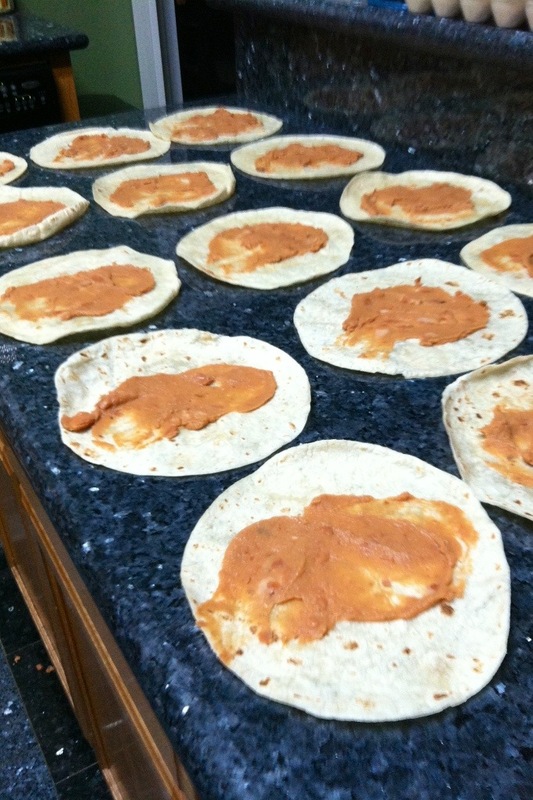 While the sausage is cooking, spread the beans on the tortillas. Drain sausage and become cooking eggs. Add sausage to eggs, while eggs are cooking sprinkle cheese on top of beans. 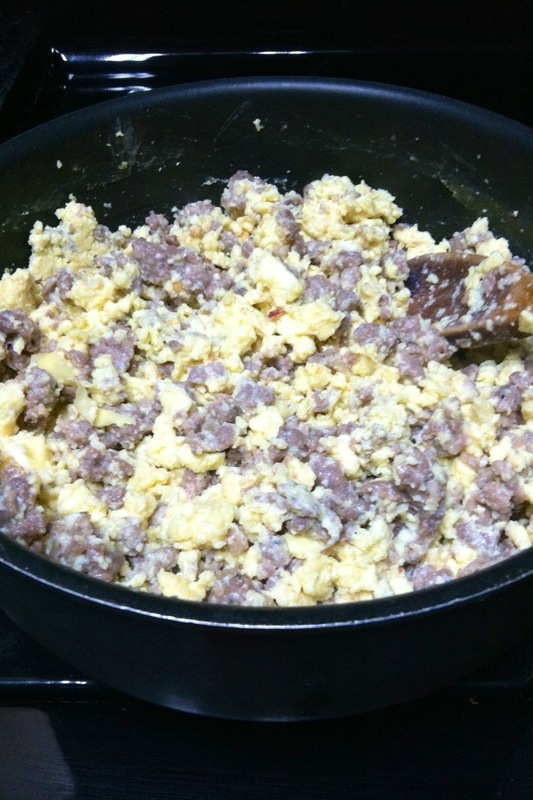 Add sausage to eggs and fully cook eggs. 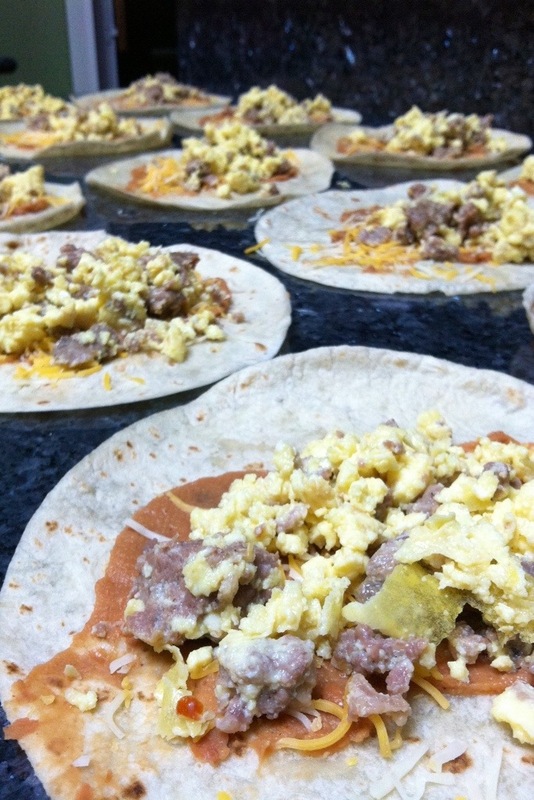 Evenly distribute egg and sausage mixture onto tortillas. 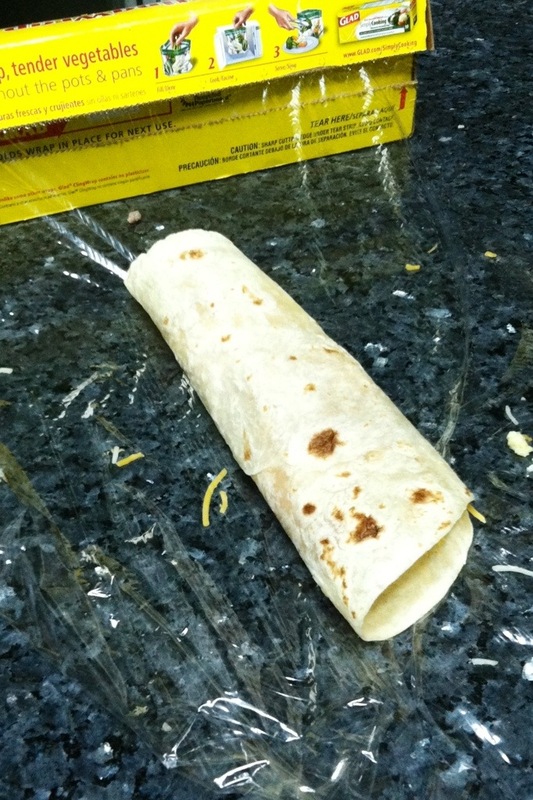 Roll up burritos. I find this to be the most tedious part. 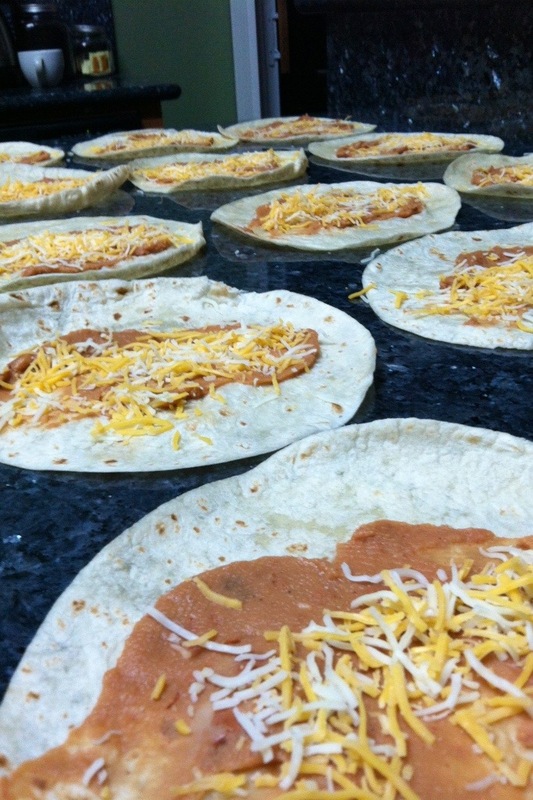 Pull out the plastic wrap and place each burrito on the wrap. 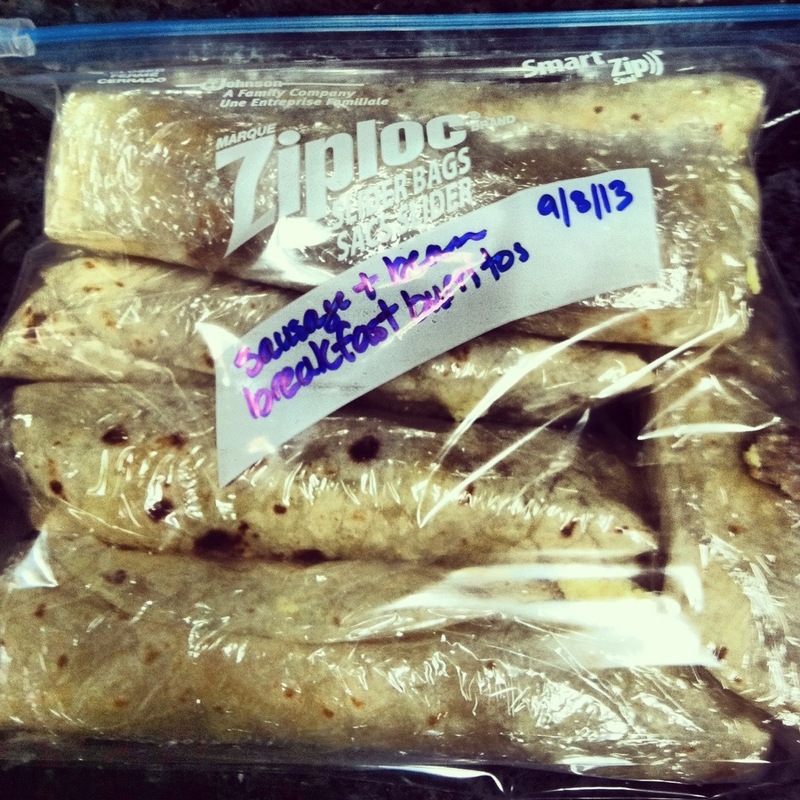 Once all the burritos are individually wrapped, place in freezer bags. After a bit of trial and error, my husband and I have found the optimal cooking time is one minute thirty seconds with the burrito taken out of the plastic wrap and wrapped in a paper towel. Give these a try, you will love them and your mornings will be a little better! I must try these! They are making me hungry just looking at them! What i do not understood is in fact how you are not really a lot more neatly-liked than you may be now. is one thing to do with Girl gaga! Your individual stuffs great.